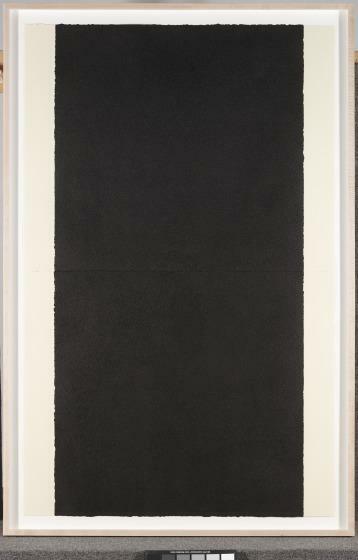 These etchings by Richard Serra [2003.9.1.A-B 2003.9.2.A-B, 2003.9.3.A-B, 2003.9.4.A-B] are part of his series called Weights and Measures, which exists in various forms: sculpture, drawings, and prints. Serra installed the series's sculpture, which consisted of two similar-looking but in fact very differently scaled steel rectangles, in a long central hall at the Tate Gallery in London, using the axis of the hallway to play off a viewer’s variable perception of distance, size, and matter. 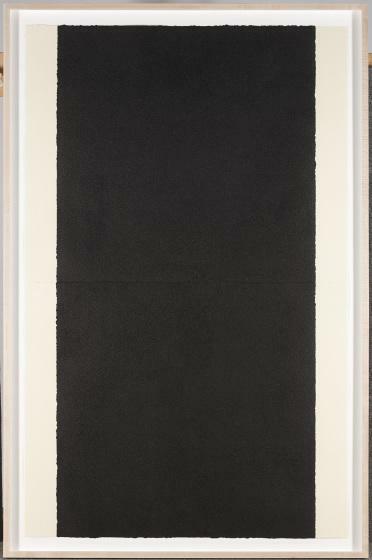 In a similar way, Serra’s prints and drawings of the series are deceptively complex renderings of how one form reacts with another in space, and all that this implies.